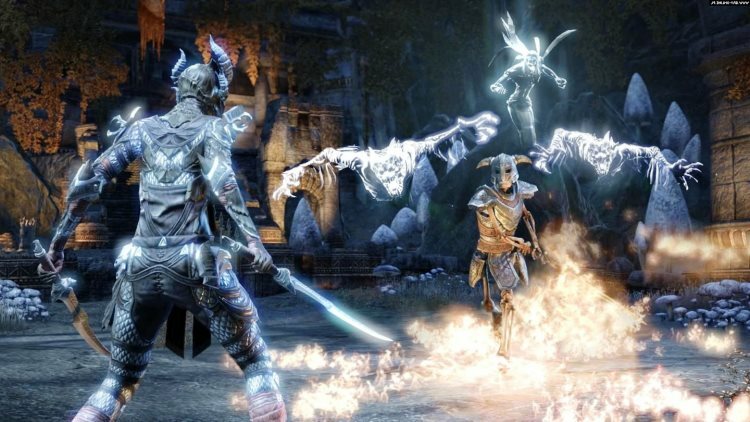 The Elder Scrolls Online v4.3.3 includes several additional fixes and adjustments for the Wrathstone dungeons, in addition to some combat-related fixes and tweaks to some of the racial passives. We’ve also done a character copy of all PC EU characters for this patch, which is approximately 607MB. Halls of Fabrication Trial – The Refabricated Centurions during the Pinnacle Factotum encounter now enter into their collapsed pose and stay there once defeated. Reduced the damage from the Coldsnap Toothbreaker's Shield Bash and Low Slash abilities. Reduced the damage from the Coldsnap Harrier's Firepower ability. Reduced the damage from the Coldsnap Frostbiter's Uppercut ability on Veteran difficulty. Icestalker's Frenzied Pummeling tooltip no longer incorrectly tells you to use Break Free to remove the stun from this effect. Reduced the damage from Whirlwind and Cyclone. Pets will now be able to attack enemies after defeating the Vault Protector. The Vault Protector will now properly transition into its shield more quickly. The Vault Protector will now be immune if it is not actively engaged. The Vault Protector’s Hammer ability will no longer hit targets that are out of range. The Stonekeeper's Rotary Blades Gauntlet will no longer dip into the ground when casting its Grind ability. Tharayya now comments less often on The Stonekeeper's shield. Combat music now continues to play during the Skeevaton portion of the encounter. You will now always be able to target and attack The Imps after they fly onto the bridge. Tharayya will now always run onto the bridge after all enemies are defeated. The bridge will no longer reappear after it has crumbled. Festering Tears can now be dodged. Pets will now be able to attack enemies after completing the Dark Orb encounter. The Death Recap hint for Quintus Verres’ Extreme Defile and Extreme Maim will no longer show if you are defeated by the Dark Orb encounter. King Narilmor’s summoned clones will always appear at the location of their spawning portal. Quintus Verres and Tharayya will now always engage in their battle even when Quintus wins consecutively. Symphony of Blades will now break from being stunned should all of its summoned Aurorans be defeated. Decreased the damage of Meridian Destruction. Fixed an issue where some pets were not inheriting their owner's conditional bonuses, such as the Necropotence item set. Yo dawg, we heard you didn't like procs so we made sure your procs can't proc more procs. The Champion Point passives Resilient and Critical Leech will now be considered "proc" abilities, meaning it can’t proc other proc abilities such as item sets or enchants. The 20% bonus will now actually work on all of the intended areas of flat stat increases, such as Consumables, 5 piece bonuses, and passives. Updated the character creation screen to reflect the recent changes to racial passives in their lore text section. Hunter's Eye: Increased the duration to 6 seconds from 4 seconds. This is to make up for the buff applying immediately as you Roll Dodge. Red Diamond: Reworked the 5% Block and Bash cost reduction to 3% cost reduction of all abilities (all the things!). Known Issue: The heal from Rank 3 currently has no internal cooldown and will be fixed before the update goes live. Feline Ambush: Reworked the 8% Spell and Weapon Critical Strike Chance to 10% Critical Damage and Critical Healing. The Undaunted Delve Dailies, given by Bolgrul in Undaunted Enclaves, will now grant Jubilee Gift Boxes during the second week of the Anniversary Jubilee, as well as during the final week (when all Dailies everywhere grant the gift box). Fixed an issue that could prevent the purchasing of Outfit Style pages from the Impresario while using Gamepad Mode. Fixed the “Show on Map” functionality for the journal and Zone Guides during the quest Concealing Veil. Changed the featured achievements in the Cyrodiil Zone Guide to show the Tremendous Damage Dealer and Tremendous Healer instead of the first tier of the Damage and Healer achievements. Fixed an issue where the Zone Guide for Grahtwood directed you to a quest giver who was not required for the main story. Fixed an issue where the Elinhir magic "rain" would fall in the Elinhir Private Arena. Luckily, this home is just far enough away from Elinhir to avoid any catastrophic magicka surges that could hypothetically arise from the corruption of a certain Celestial. Frostvault Chasm can now hold twelve guests instead of six. Improved the alignment of the floor tiles in Frostvault Chasm. Fixed some randomly occurring crashes. Fixed an issue where the column headers on the Guild Store listings screen were missing. Added a button to clear the Item Name field in the Guild Store UI. 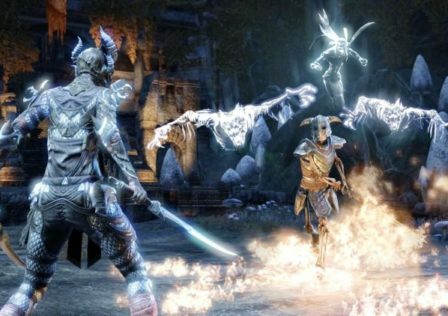 © Post "[News] PTS Patch Notes 4.3.3" for game The Elder Scrolls.